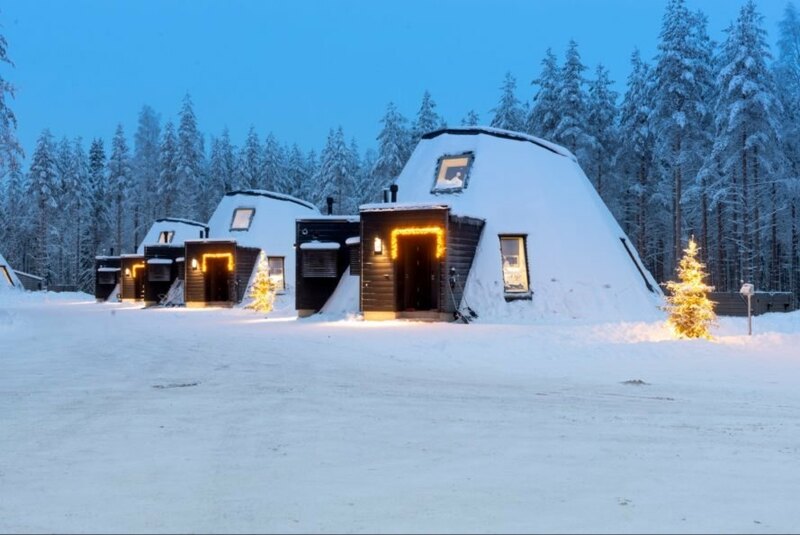 Christmas may be over, but it’s still possible to visit the home of Santa Claus, and stay in these incredible igloo-style glass cabins. 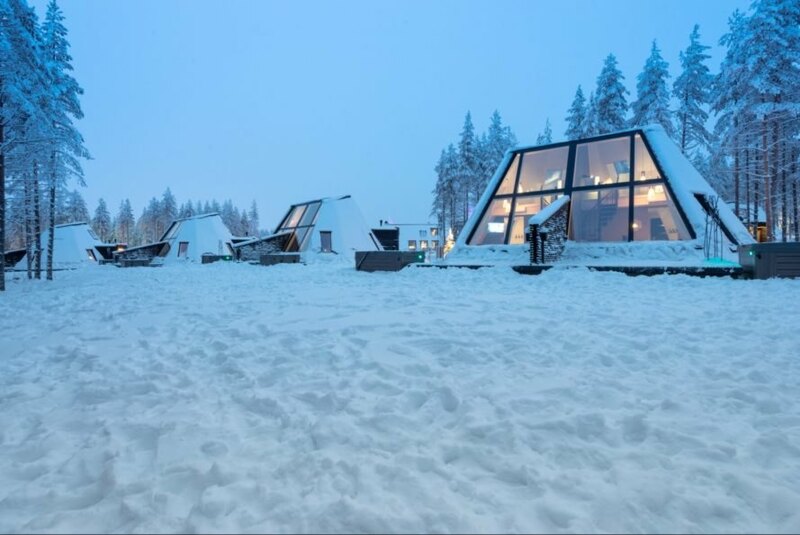 Helsinki-based firm, VOID Architecture designed the wooden huts with massive heated glass panels in Lapland, Finland to give visitors a serene place to stay while exploring the winter wonderland. 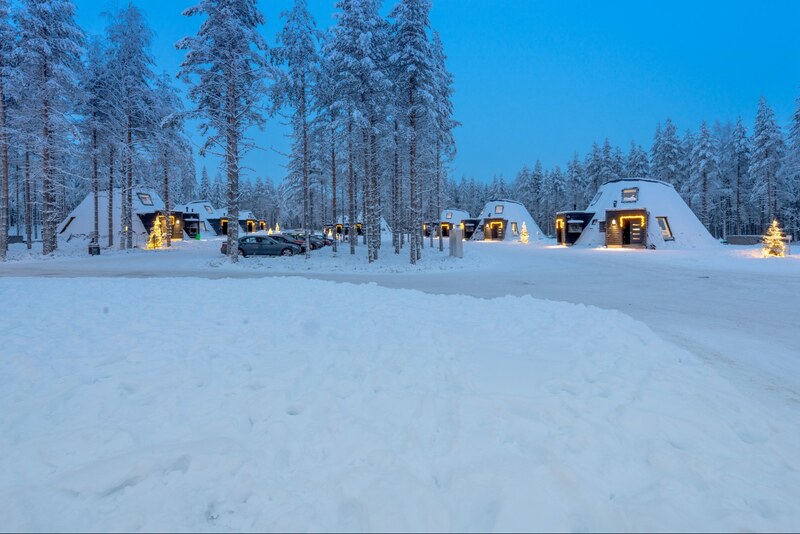 The resort is located in Rovaniemi, the beautiful capital of Finland, known for its picturesque winter months. 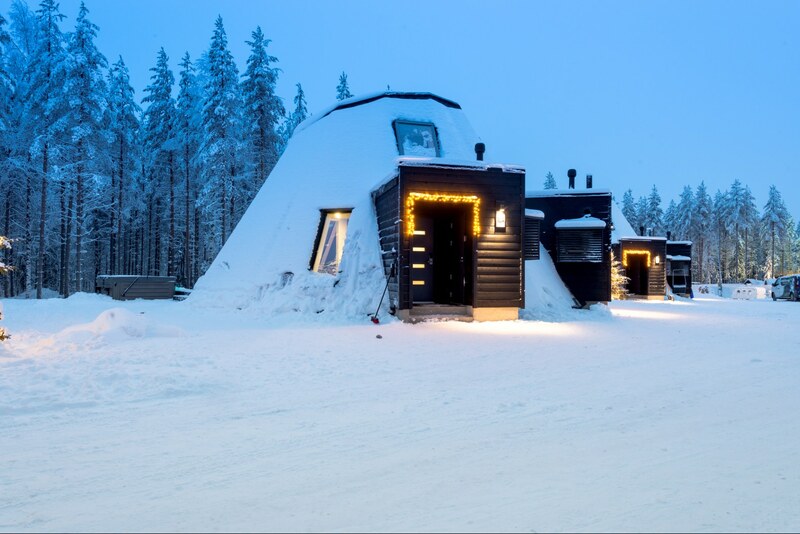 According to the architects, the structures were designed to be modern takes on the traditional igloo design. 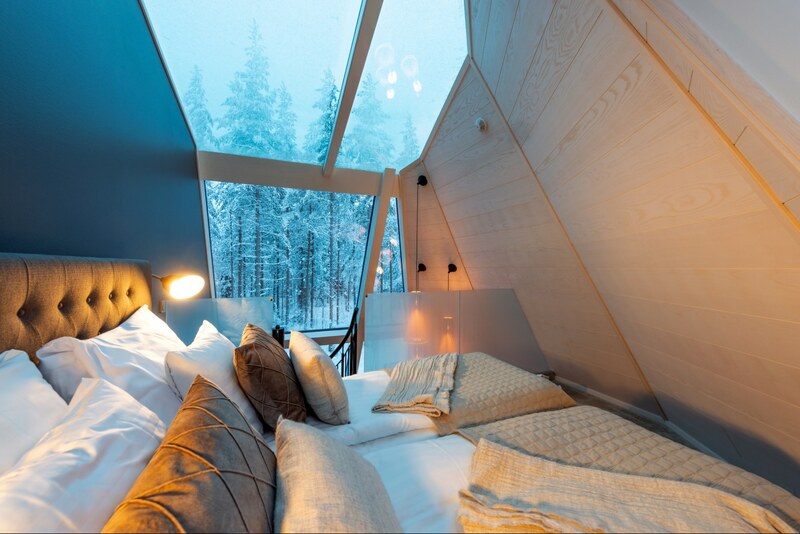 The individual cabins are built out of timber with large glazed walls that slant inwards as they reach the roof’s apex. The double height walls, made out of large triple-glazed panels, create an immersive feel to the interior, creating a strong connection with natural surroundings. The interior design of the living area was designed to offer a warm and comfortable home away from home. 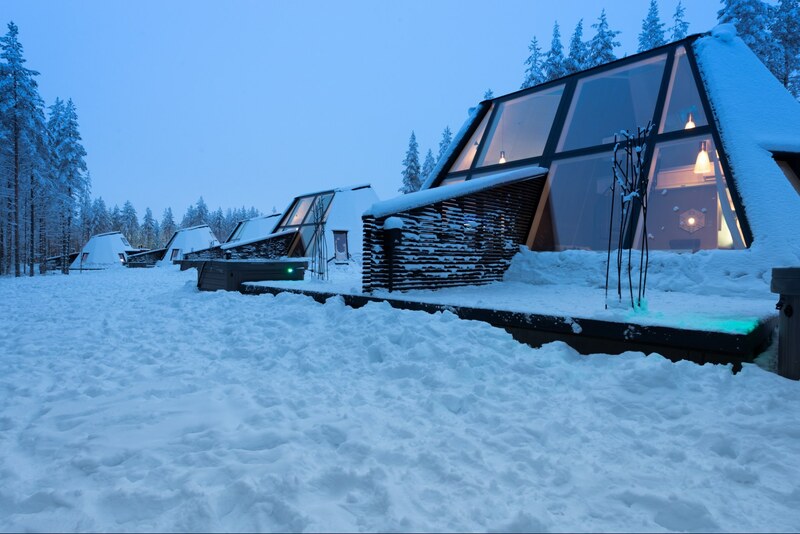 Taking into account the extreme winter weather in the area, all of the glass surfaces are heated to allow guests to fully enjoy taking in the views from virtually anywhere. Light wood paneling and modern, yet comfortable furnishings were used throughout the guest huts to create a cozy cabin atmosphere. Each structure contains a large living space with double height ceilings, two bedrooms, a bath and kitchen. 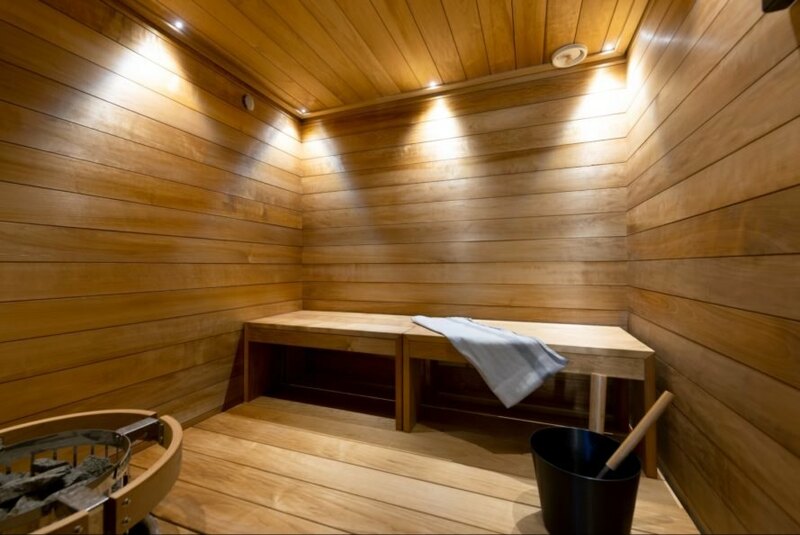 Additionally, guests can enjoy their own private sauna and outdoor hot tub located on a large terrace. 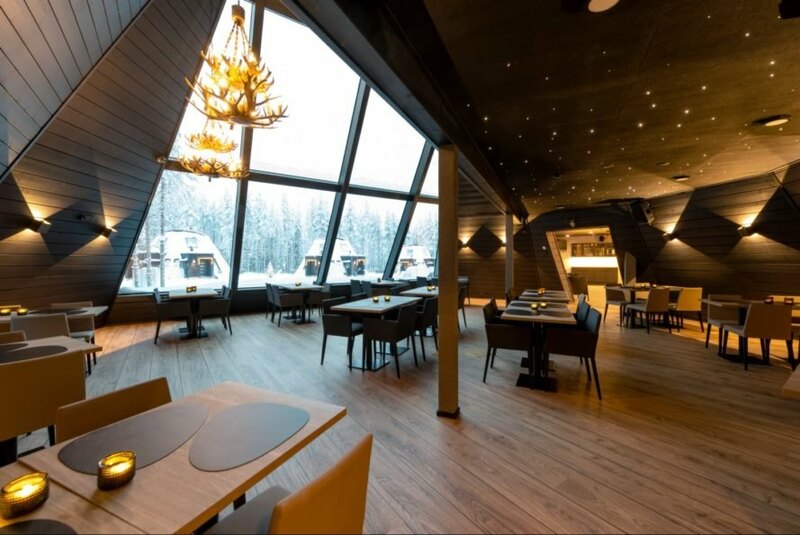 Guests to the resort can enjoy the views from the comfort of their own accommodation or visit the resort‘s large restaurant and lounge, also built with a fully glazed facade. 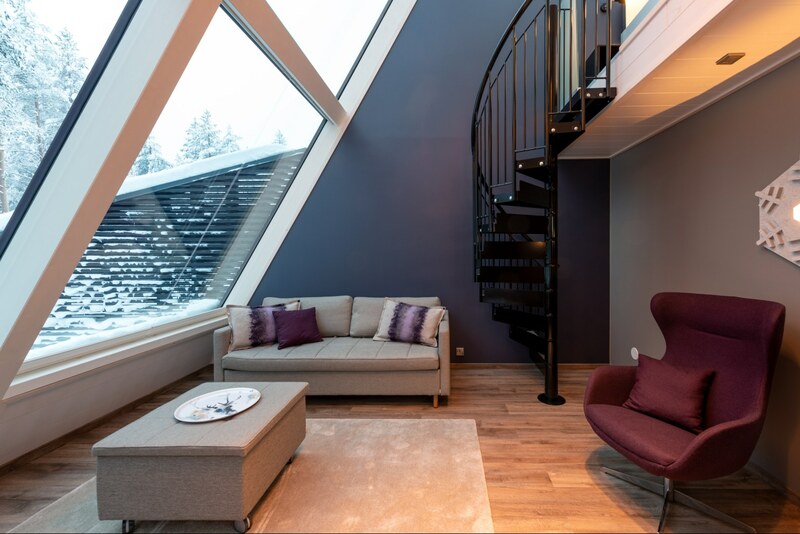 Large sliding glass doors lead out to an expansive balcony that provides stunning panoramic views of the snowy landscape. The resort also offers plenty of activities to enjoy the amazing surroundings. Stunning design - great balance between natural and modern decor. Thank you for sharing this Nicole. The huts are made out of timber and large glass panels. The glass huts are designed by VOID Architects. The immense glazed walls offer guests an immersive experience. The cabins are modern takes on traditional igloo design. 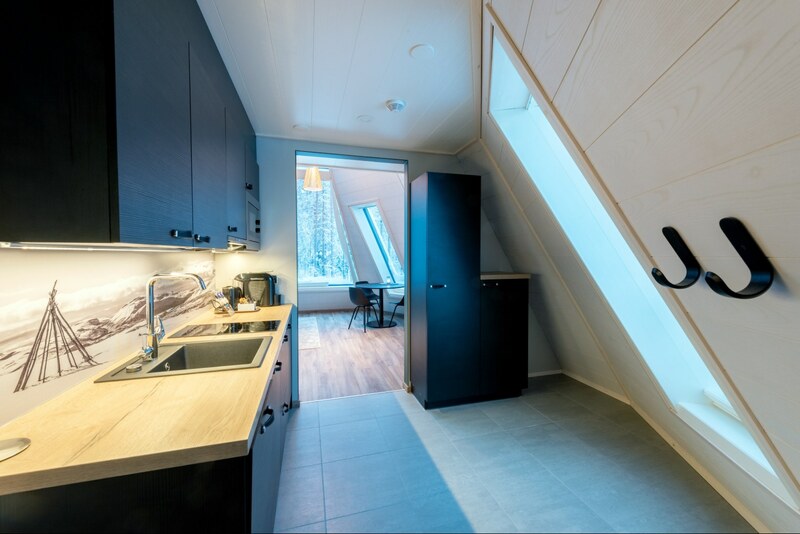 Each cabin has a large living space, two bedrooms and a kitchen. The large glazed walls reach up to the second level. The bedrooms are located on the second level. Each cabin has a large bedroom and suana. Guests of the resort can enjoy their own private suana. The lounge and restaurant area also offers stunning views. 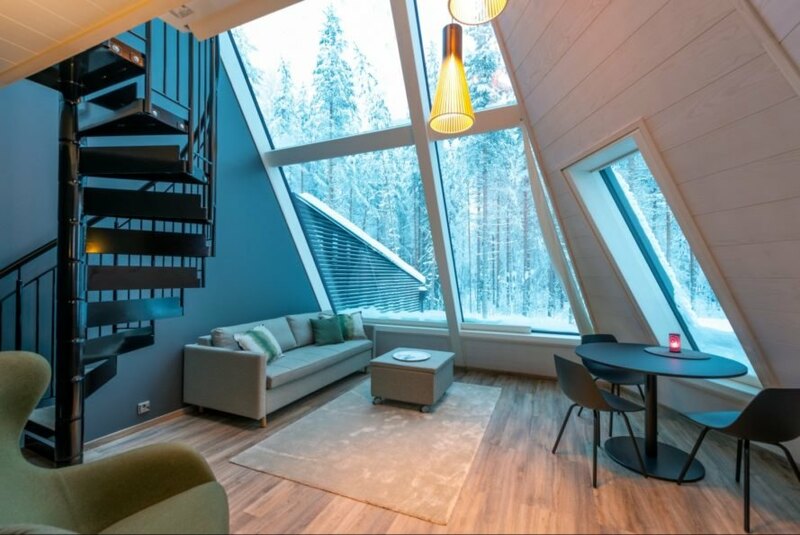 Located in Rovaniemi, the beautiful capital of Finland. 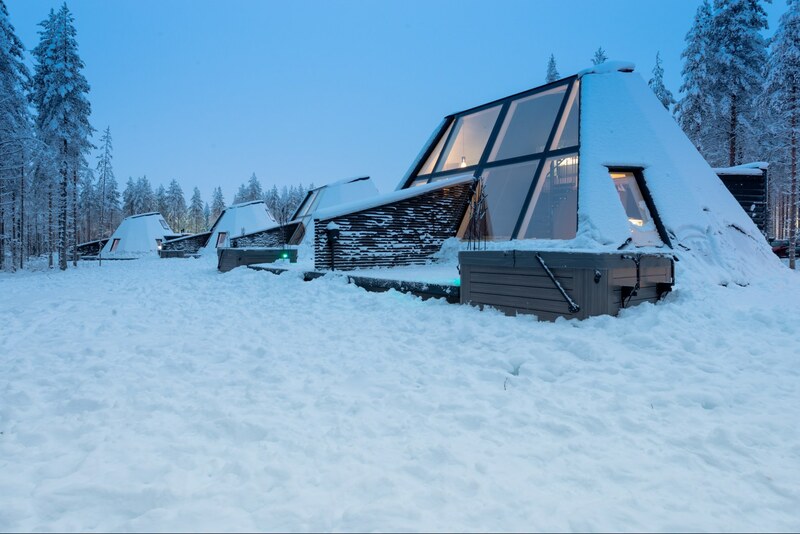 The design of the cabins is nature-based, created to connect guests to the natural landscape. The slanted all glass windows provide stunning views. The lobby was designed to offer a warm welcome to the guests. The huts are made out of timber and triple-glazed panels. Guests can enjoy the beautiful views with a long lunch or an evening glass of wine. The rest of the resort is clad in dark wood. There is plenty of seating. Guests can take a break in the large lounge area. The lounge area is also used for entertaining.